TGS series single-stage double-suction centrifugal pump is the third generation of high-efficiency energy-saving double-suction pump products developed by our company on the basis of extensively absorbing the advanced technology of similar products. It has wide spectrum, good hydraulic performance and novel structure. It is characterized by high efficiency, high reliability, low cavitation allowance and low maintenance cost. 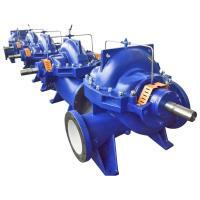 The design, manufacture and quality of this series of products are in line with G BIT5657 "Technical Conditions for Centrifugal Pumps Class III", and the efficiency index reaches the standard of G8197B2 "Energy Efficiency Limit Value and Energy Saving Evaluation Value of Qingshui Centrifugal Pump". 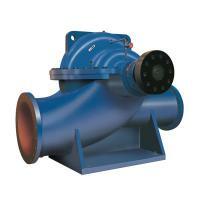 TGS type pumps' efficiency is the highest in pump field. Because high operating efficiency over a wide range of capacities, lower operation cost and smaller motor output areall possible. 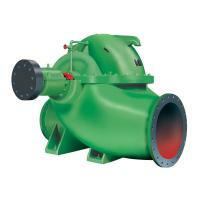 They are split casing pumps of the highest efficiency and more applicable for saving energy. 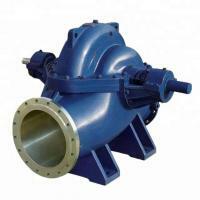 TGS type pumps' excellent cavitation-resisting is owing to their special design.Compared with conventional double suction design.they need small room and sace cost of foundations. By adopting special design, TGS type can lower noise, reduce vibration and environmenrt protection. Virbration and prolong their service life. They are economical and environment protection. 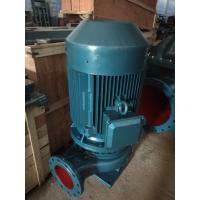 Variable combinations of materials permit wide application for TGS type pumps. Select specific combination of materials accoding to variable requirements. 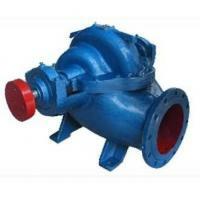 Pump is mainly used in water plant, water circulation in air conditioning, heating pipe network system, building water supply, irrigation and drainage pumping stations, power plants, industrial water supply system, fire fighting system, shipbuilding, mine conveying liquid such as water supply and drainage. In the case of conventional materials, the temperature of the medium to be conveyed does not exceed 80 ° C (the medium temperature exceeds 80 ° C, and can be customized according to customer requirements). Applicable to factories, urban water supply, mines, power supply and drainage, farmland irrigation and various water conservancy projects, petrochemical projects, etc. The inlet pressure is allowed to not exceed 0.6Mpa. 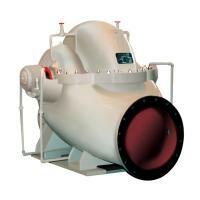 If the user has special requirements, changing the material can deliver a higher inlet pressure medium. By changing the material of the flow parts and the seal, it can be applied to different occasions. 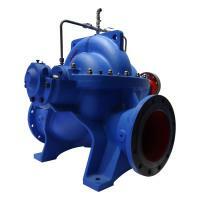 The TGS type pump has a horizontal structure. The suction port and the discharge port are both below the pump axis, the center line is horizontally perpendicular to the axis, and the pump casing is opened. It is not necessary to disassemble the inlet and outlet pipes and the motor (or other prime mover during maintenance). The main parts of the pump are pump body, pump cover, impeller, shaft, bushing, double suction seal ring, etc., in which the impeller, bushing and double suction seal ring are wearing parts. The impeller bushing and the bushing nut are fixed on the shaft, and the axial position can be adjusted by the universal bushing nut. The axial force of the impeller is balanced by the symmetrical distribution of the blades, and the residual axial force may be received by the bearings at both ends. From the motor end to the pump, the TGS pump rotates clockwise, that is, the suction port is on the right and the discharge port is on the left. It can also be rotated counterclockwise according to user requirements. 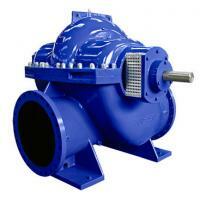 The bearing components are distributed at both ends of the pump and the bearings are rolled bearings. The bearing lubrication method is greased or diluted with oil. The pump is coupled to the motor (or other prime mover) via an elastomeric pin coupling. The shaft seal has two types of packing seal or mechanical seal. When the pump diameter is 800mm or less, the dry oil lubrication is basically adopted. 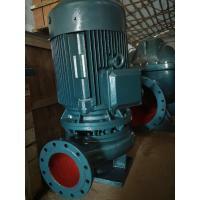 The pump diameter is 800mm or more, and the lubricating oil is basically used.